The Baade 152 design was started at the OKB-1 in Sawjelowo near Moscow in 1952 under the Designator OKB-1 15.2. It was one of several civil airliner layouts, which Baade prepared for the Soviets in 1952/53 as a proposal for a civil airliner production in the newly formed German Democratic Republic. 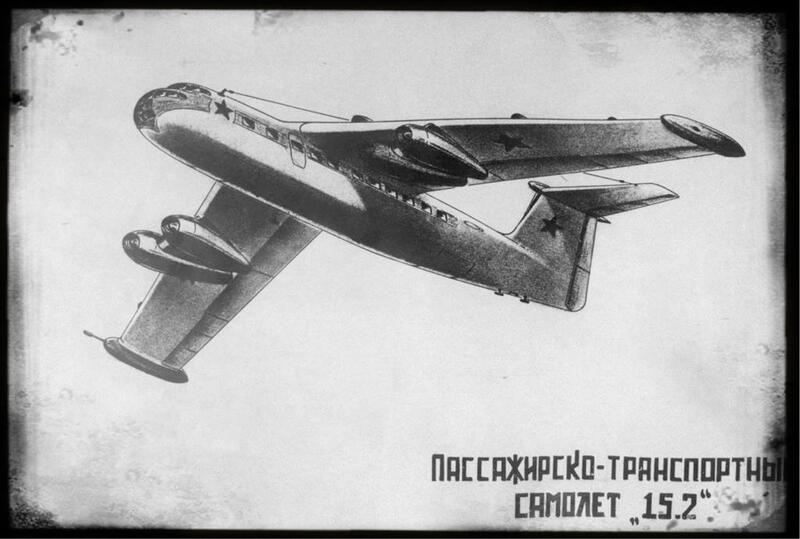 The Intension was to concentrate the Russian aircraft industry on Military aircraft production, while the satellite states as the GDR and Hungary should focuse on civil aircraft production for the Eastern block. The 15.2 as well as several other Baade proposals were acknowledged by the Soviets for a production line in the GDR. Baade and his Team were released from Russia and returned to the GDR in 1953, where a new production facility for the Baade aircraft should be established initially at Dessau, later in Dresden. In fact the 15.2 was an enlarged Junkers (OKB-1) EF150 Jet bomber with more powerfull engines. In Dresden Baade adapted the 15.2 for passenger Transport and the design was redesignated as "152" in 1955. The first prototype 152-V1 still had a glass nose and the twin Center Wheel gear of the EF150. It offered 48-60 seats. The construction of the 152-V1 was delayed due to material supply Problems and delays in the Pirna 014 engine development. 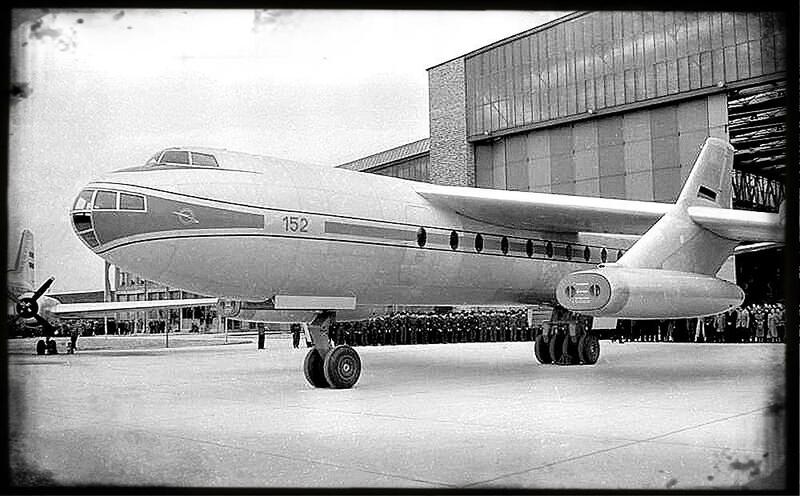 The 152-V1 was already presented to the public on 30th April 1958 in Dresden, but the first flight was delayed for months due to the missing engines. In late autumn 1958 four Tumanski RD-9B engines were installed on the prototype and on 4th December 1958 the 152-V1, DM-ZYA took off for its first test flight in Dresden. The 152-V2 was available in July 1958 and was used for structural Tests. The 152-V3 was stopped as the General design of the 152 was changed to a 152/II Standard with undercarriage in the engine pods and several other changes like an improved take off weight, an all-metal aircraft nose, a 60-seater passenger cabin.  The 152/II Standard was introduced with the 152/II-V4 and -V5. The first Pirna 014 engine was also available with the -V4. On 4th March 1959 the 152/I-V1 was lost during its third flight for an inflight presentation at the Leipzig fare trade Exhibition due to a design error, when the fuel Transfer to the engine failed. It took one and a half year until the next 152 aircraft took off for its first flight, when 152/II-V4, DM-ZYB flew first on 26th August 1960. In September 1960 all 152s were grounded again due to Problems with the plastic tank structure, which required a Change for metal tanks. 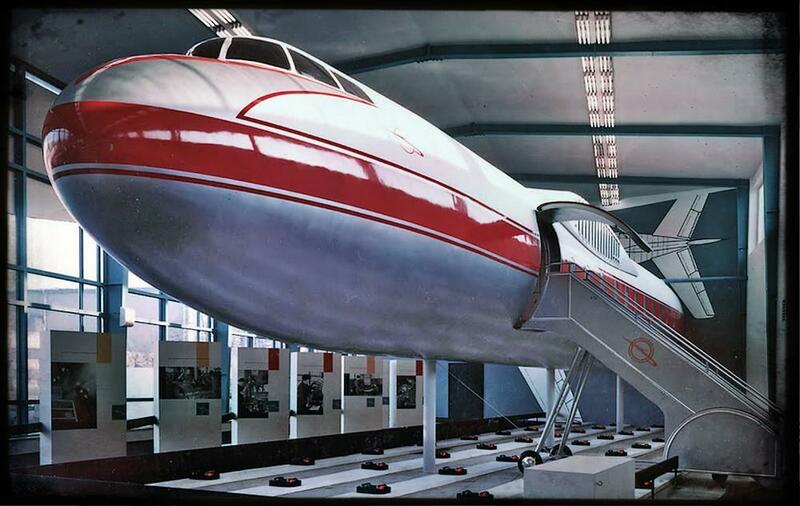 As the Soviet concentration on the production of Military aircraft had changed, the Soviets had started a civil airliner production as well meanwhile. On 28th February 1961 the GDR Government decided therefore to stop any activities regarding the GDR aircraft development and production. Also the Baade 152 Project was abandoned and the built aircraft were scrapped or used for other purposes. A total of 17 aircraft had been built or were under construction, when the Programme was stopped. Die Variante II des DDR-Jets "Baade 152"
Die Absturzursachen des DDR-Jets "Baade 152"
Die Variante I des DDR-Jets "Baade 152"